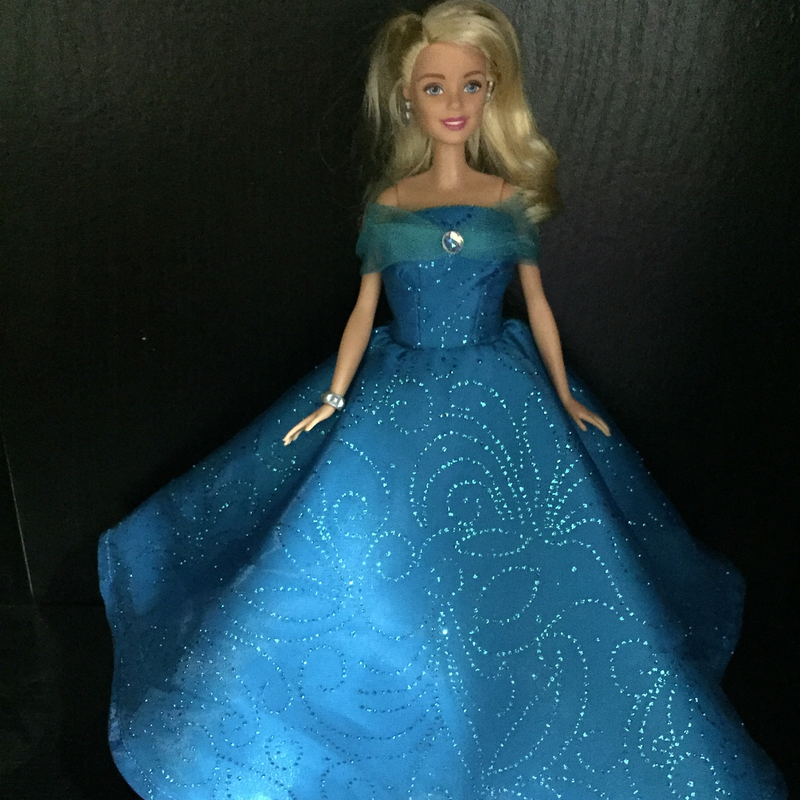 My daughter got her first Barbie for her birthday a couple weeks ago. She was excited because she loves watching the Barbie show on Netflix. Well this took me back to my childhood when I had my own Barbie and mom would make clothes me and my sister to dress up our dolls. So recently I've been obsessed in making clothes for my daughter and her doll. This one's inspired by the new Disney Cinderella. I love the dress. This one is actually listed in my Etsy shop.